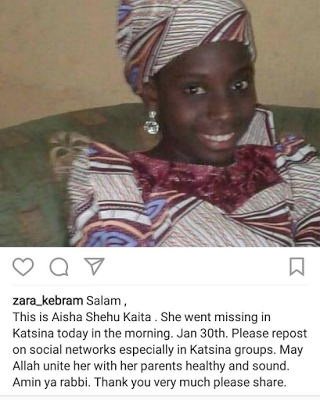 Aisha Shehu Kaita has been declared missing by her family. She went missing today, January 30th. If you have any information please contact 0803647728.